This 70 card Set measuring approx. 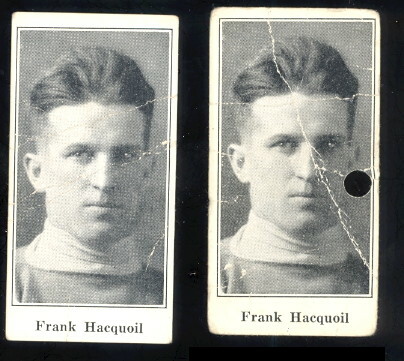 1-3/8" x 2-3/4" were printed on thin cardboard stock, issued during the 1923-24 season and are in black and white. 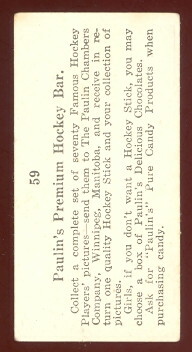 They were found one in every Paulin's Premium Hockey Bar. The Set depicts players from the Western Hockey League. 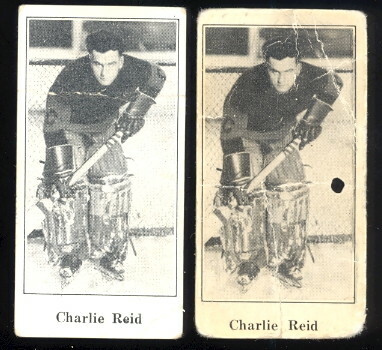 A Hockey Stick or a box of Chocolates was awarded to those who returned a full Set of cards. The Cards were also returned but with a hole punched in them and / or a Paulin Chambers Company stamp on the back, which is not uncommon. 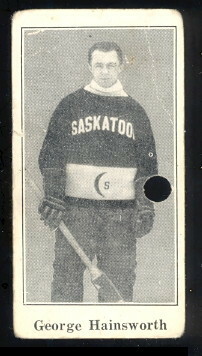 The promotion ran from 1924 to 1925.